Hiro is wise, very dignified and enormously kind. He's friendly and is able to find good in any engine he meets. 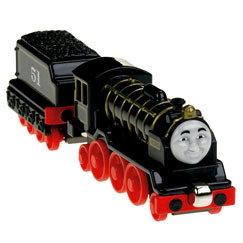 He does not appear to hold a grudge; in his first appearance, he helped Spencer after an accident, despite Spencer previously trying to send Hiro to the smelter's yard.